Illustration Showing American Real Estate Magnate, Television.. Stock Photo, Picture And Royalty Free Image. Image 43724271. 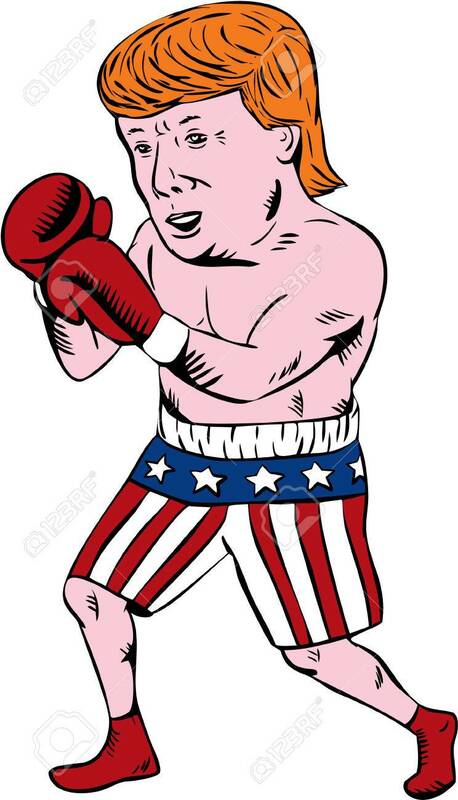 Stock Photo - Illustration showing American real estate magnate, television personality, politician and Republican 2016 presidential candidate Donald John Trump as a boxer in boxing stance weaing stars and stripes flag shorts done in cartoon style. Illustration showing American real estate magnate, television personality, politician and Republican 2016 presidential candidate Donald John Trump as a boxer in boxing stance weaing stars and stripes flag shorts done in cartoon style.